Nowadays, marketers spend a lot of time to extract personal information like phone numbers and email from the website using the email Extractor tool. These marketers extract email information in much larger scale for their business promotion. Web technologies are growing much faster than software, so the software like web extractor tool will be a major benefit for the marketers to extract emails and sending business promotions illegally. If you need to know that your site contains any email privacy issues, just use our free tool to identify email data. The email privacy checker is to keep away from spammers and hackers to avoid damage to your site. Enter the required URL or web page URL in the required text box. Click the submit button to view the final result. The tool scans every page in order to address email data found on the page or not. Helps in identifying Email Privacy issues to avoid spammer’s extracting data from the site. Helps website owner and webmaster from spam marketers sending unwanted promotions to your business or personal email. How to avoid email privacy? 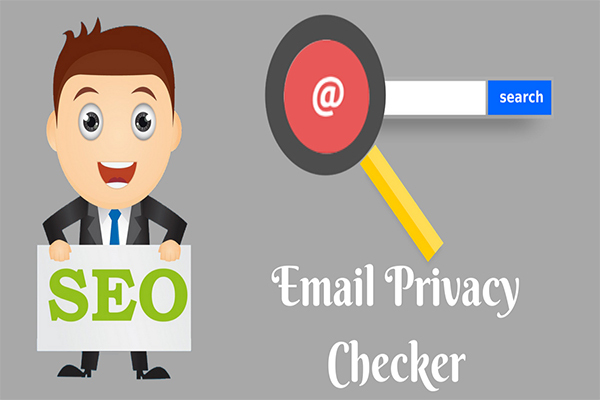 In the market there are even also have email privacy checker tool, this tool helps in protecting your personal information by converting that text into images. So, the image can be visible to the user but not for the tool or software. So, all the website personal information will be far from spammers. 3. Customize the style of the image you want. 4. Click the generate button and save the file by clicking a right mouse button on the generated image.